It’s that time of year again, where we dust off our boots, pull up our socks and head out onto the field of football dreams. Or into the living room, whichever. Yes, FIFA 18 is upon us, and the world of sports gaming just got a little more intense, more bombastic. If you’re an avid career mode fan and love to take on the challenge of management in FIFA games, you’re in the right place. Here, we’ll give you everything you need to take your team to the very top, from bargain buys to the best players on the market, plus the best ways to find exciting new talent by scouting the globe. It’s all here. We’ll also take you through the brand new transfer negotiation system, which makes its long-awaited debut in FIFA 18. Instead of wangling transfer deals over the distant, cold medium of email the way you used to in previous games, you now get a chance to sit down with agents and the player himself to hammer out a deal. There are now signing bonuses, release clauses, performance rewards, squad roles and more to discuss with your potential new recruits. You’ll need to really convince players to join your team with the new tools at your disposal. It’s a much more realistic and in-depth way to do business, but takes some getting used to – which is why we’re here. 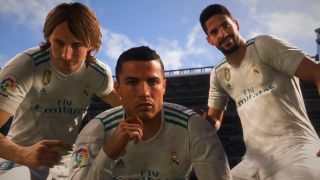 So whether you want to start at the very bottom of the ladder and work your way up, or begin with a huge budget and start splashing the cash everywhere you can, this guide will take you through the ins and outs of bringing career mode success to your club.